Smashing Pumpkins - Shiny And Oh So Bright Vol. 1 / LP: No Past. No Future. No Sun. 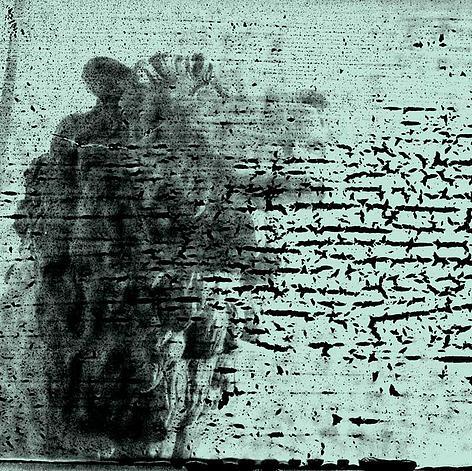 Perhaps no fan base has endured more ups and downs than the devoted cavalcade of listeners (myself included) that have admirably marched behind Billy Corgan and his Smashing Pumpkins through nearly three-decades of artistic highs and lows. Be it indie-rock gems (by way of their stunning debut Gish) and multi-platinum accolades (Mellon Collie & the Infinite Sadness), or dreadfully misguided missteps (2007’s Zeitgeist) and self-indulgent trainwrecks (Oceana), give credit where credit is due: no one can accuse Corgan of resting on his laurels. And now, fresh on the heels of an (almost) reunion tour, the Smashing Pumpkins are set to release Shiny and Oh So Bright Vol. 1 / LP: No Past. No Future. No Sun. The second release in a row that finds Corgan forgoing the sprawling, theme-driven antics of yesteryear, Shiny and Oh So Bright Vol 1. is in many ways a stark improvement over 2014’s Monuments to an Elegy. Most notably, drummer Jimmy Chamberlin (who was sadly replaced by a for-hire Tommy Lee on Monuments) and founding guitarist James Iha (who hasn’t played with Corgan since 2000’s Machina releases) are both back on board, and the effects on the overall vibe and feel are tangible from the get-go. With its prominent use of piano and a chorus of gospel-choir background vocals (?!? ), the album-opening“Knights of Malta” is certainly new territory for the Pumpkins. That being said, having covered everything from doom-metal to electro-pop in the past, the suburban-funk vibe somehow works. The first single “Solara” mines more familiar territory, as the song features a healthy dose of the band’s trademark blitz of fuzzed-out guitar and glam-rock bombast, and “Silvery Sometimes (Ghosts)” is one of Corgan’s best compositions this side of the millennium. Shiny And Oh So Bright Vol 1. is perhaps best described as the perfect approximation of all the sonic detours that the Pumpkins have taken over the years. Be it lush, orchestrated pomp and circumstance (“Alienation”), understated pop (“Travels”), or straight-ahead rockers (“Marchin’ On”, “Seek and You Shall Destroy”), Corgan manages to somehow preserve a sense of immediacy throughout the album that was sorely lacking on Monuments (and completely missing from the bloated Oceana). It’s not that Shiny and Oh So Bright Vol 1 is a perfect album (far from it*), but it’s the perfect album for the Smashing Pumpkins at this stage in the game. 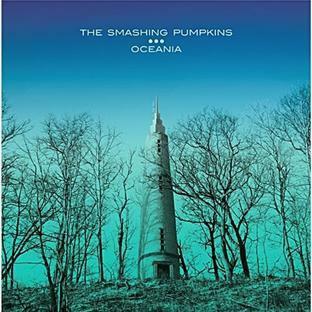 Corgan has been on record with his hopes that Shiny And Oh So Bright Vol 1. will hopefully lead to one final Pumpkins opus, and if this latest batch of songs is any indication, then the groundwork is clearly already being laid. Regardless, most fans will be happy to hear that Shiny And Oh So Bright Vol. 1 / LP: No Past. No Future. No Sun is, at the very least, a much-appreciated return to form. *Rick Rubin’s ‘all-faders-to-ten’ fingerprints are all over Shiny and Oh So Bright Vol 1. Corgan’s vocals are leaps and bounds ahead of everything else in the mix, the guitars and drums are rather subdued (at least by the Pumpkins’ standards), and the record is mastered hotter than a just-out-of-the-oven cookie sheet. But given the inherent pitfalls of nostalgia, I’ll chalk these points up to the ‘it is what it is’ column.